Quilting, for me, is like improvisational cooking. I will sometimes build a whole meal around a particular ingredient or a single dish, like sun dried tomatoes or roasted tomato soup. 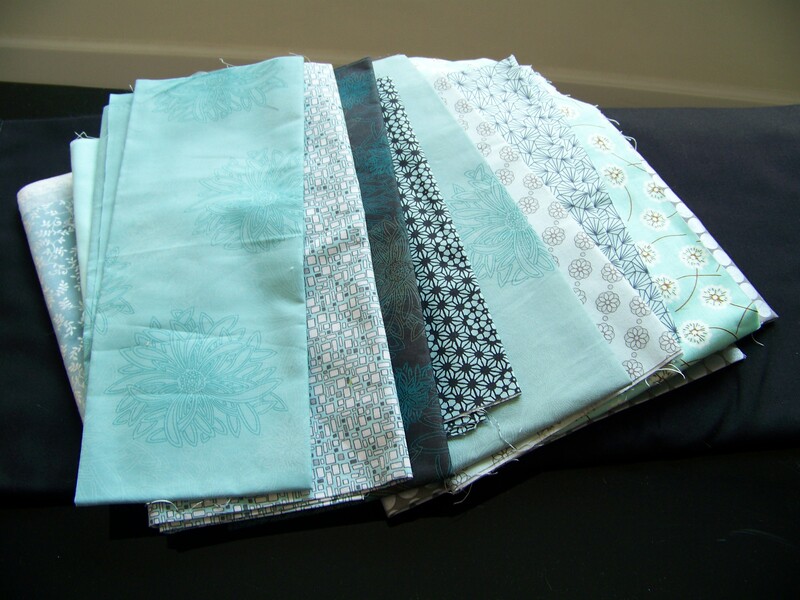 In quilting, I will build a whole quilt around a single piece of fabric, a color or a rhythm. Every quilt has a rhythm and flow. I’ve had this rhythm of a quilt in my head for many months. For a while I have had this idea that it should be all white: white on white on white. It’s symbolic of the transition from white capped waves to white sandy beaches to white cumulus clouds to white drifts of snow. Then my mind shifts rhythms, like a jazz musician shifts to a syncopated rhythm and the tempo changes. Now I see rain at dusk and in the deep dark of night with a full moon high above giving a faint illumination to the rain. Also, the out side lights from the house get triggered by the rain if the wind is blowing hard enough and then the rain is less icicle blue and more warm in color. I like the cool colored rain better.